Tony also mentioned that he was working diligently on the Modernization of Government Act and suspects the bill will be reintroduced during the Trump administration with broad bi-partisan support. IPv6 was a mandate in his version of the Act for all new IT projects and the NAv6tf team are delighted to watch this bill make its way through congress in the near future. Registration: The registration site will be available soon. Event registration will be online for $200/person for the 2-day event. Attire: Everyone receives a custom t-shirt for the event! Yes, I said a t-shirt. En la Cumbre IPv6 de este año celebraremos todo lo que se ha logrado con respecto al despliegue de IPv6. También discutiremos los retos pendientes para la adopción de IPv6. El evento de la Cumbre IPv6 de este año se centrará en los logros que se han logrado en los últimos años y que han impulsado el crecimiento acelerado del tráfico de Internet con IPv6. En el evento se celebrará el trabajo duro realizado por proveedores de servicio de banda ancha, operadores móviles, proveedores de contenido en línea, redes de distribución de contenido, fabricantes de equipos, de sistemas operativos y muchos otros. Ejemplos de adopciones ejemplares de Ipv6. Mejores prácticas para el despliegue y la promoción de la adopción de IPv6. Métodos que han impulsado un mayor uso de IPv6. Tendencias actuales en la adopción de IPv6 y proyecciones futuras del crecimiento de IPv6. Tareas pendientes para la comunidad IPv6, desafíos para IPv6, siguientes pasos. Ayuda en el despliegue IPv6 en redes empresariales. Ejemplos de cómo se usan los entornos de sólo-IPv6. Habrá una sola sesión de presentaciones durante los 2 días. Registro: El sitio de inscripción estará disponible en breve. El registro del evento estará en línea por $200 /persona para el evento de 2 días. Fechas: 25 y 26 de abril de 2017. Horarios: Registro y café de 8:00 am a 9:00 am, el primer keynote comienza a las 9:00 am, presentaciones durante todo el día terminando a las 5:00 pm. Dirección: 605 West Maude Avenue, Sunnyvale, CA. CP. 94085. Estacionamiento: Estacionamiento gratuito en su estacionamiento de 4 pisos. Comidas proporcionadas: Por la mañana café / jugo / agua / té; almuerzo completo; refrescos / agua y galletas en la tarde. Cada asistente recibirá una camiseta personalizada para el evento. I have been receiving frequent questions around IPv6 allocations as of late which is a good indicator that more enterprises are researching IPv6 adoption at the fringe. Take some time to review the ARIN wiki IPv6 allocation best practices to make sure your IPv6 deployment goes smoothly. CAv6tf attended Facebook’s “NETWORKING @SCALE” invite-only event this Tuesday and Wednesday where engineers and scientists from multiple companies collaborated on ways to build and manage large-scale service networks for millions of users and applications that are built upon the next generation Internet. 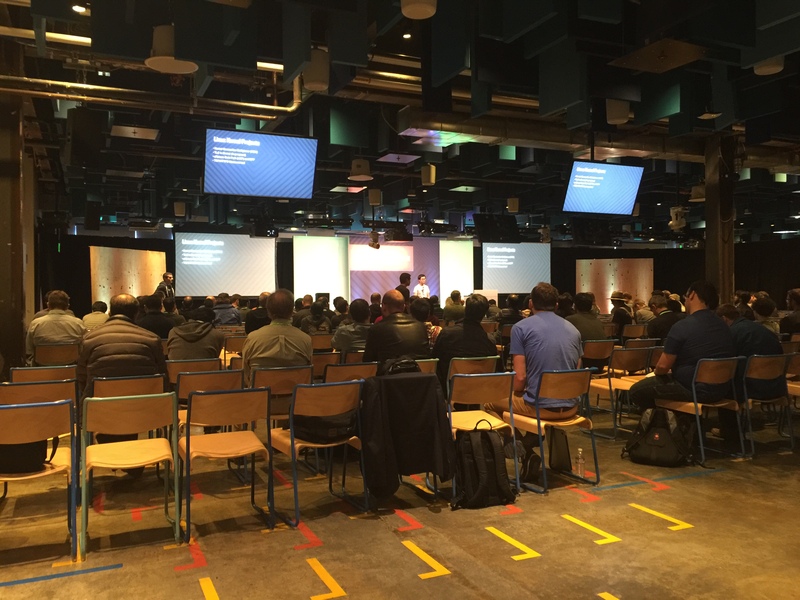 Marking Facebook’s 2nd anniversary of this event, we heard presentations regarding Software Defined Networking, 60GHz wireless networks, creation of new routing protocols, and convergence of servers, switching, and routing to solve complex engineering challenges. Engineers from Facebook, Akamai, Juniper, and Comcast, to name a few, were badged and in attendance. At this week’s event, Facebook’s research division presented their recently announced Terragraph and ARIES terrestrial connectivity projects and shared some of the engineering challenges they have overcome in order to deliver consistently high-bandwidth internet experiences for the underserved internet users located around the globe. 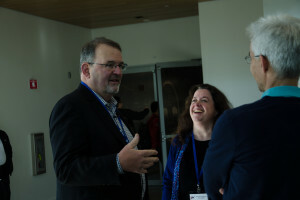 Also, NASA JPL Scientist, Dr. Luther Beegle, was in attendance to present network and operational challenges in InterPlanetary Networking (IPN). His work on the Mars Future Rover plans for 2020 Launch highlighted the networks required to connect and conduct work for the SHERLOC spectrometer optical system. Latency and intermittent communication loss are important store-and-forward problems network operators must deal with both on Mars and here on Earth. Much to the enjoyment of all attendees, Dr. Beegle discussed his project and networking methods used in orbital networking. You can check out the abstract for Facebook’s Terragraph/ARIES project here. You can visit the Mars 2020 Mission Page and SHERLOC abstract here. UPDATED 2016.08.30! Full multimedia content from @SCALE event here. Take a look at ARIN’s IPv6 Wiki where you can share information on IPv6 topics and issues. Posted in blogs	| Comments Off on Check out ARIN’s IPv6 Wiki!